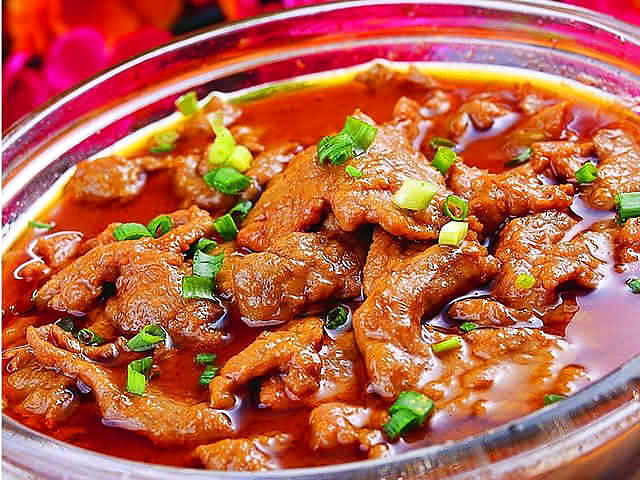 This tour package selects many cultural and historical attractions in Shanxi province! In five days, just get away from the bustling and hustling city life and immerse yourself in the traditional Chinese culture and lifestyle. 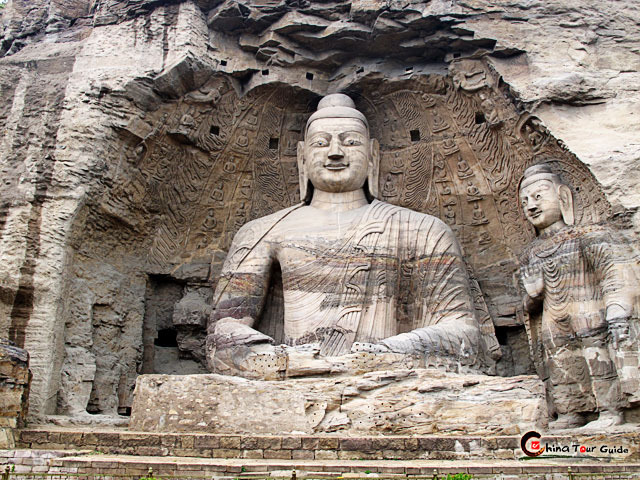 Explore the well-known Yungang Caves, one of the Three Major Buddhist Grottoes in China. Visit the financial center of China in the late Qing Dynasty - Pingyao Ancient City, where the streets and and storefronts still largely retain their historical appearance. Discover the primitive and pure Da Chang Village with 1500+ years history. Today's Activities Upon arrival, you'll be met at the airport or train station by our local guide and then transferred to hotel for check-in. The rest of the day is up to you. Today's Activities Drive about 1.5 hours to Hanging Temple after breakfast. 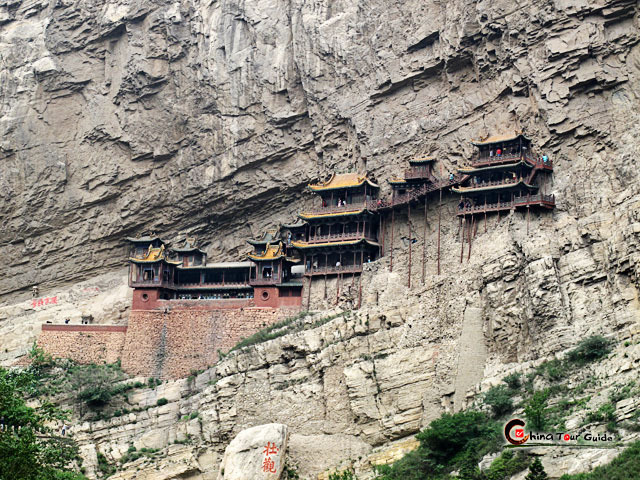 Hanging Temple is one of China's most remarkable feats of architecture and can date back to 1400 years ago. All the buildings in the temple are hung on the crag at the slope of Mt. Hengshan. 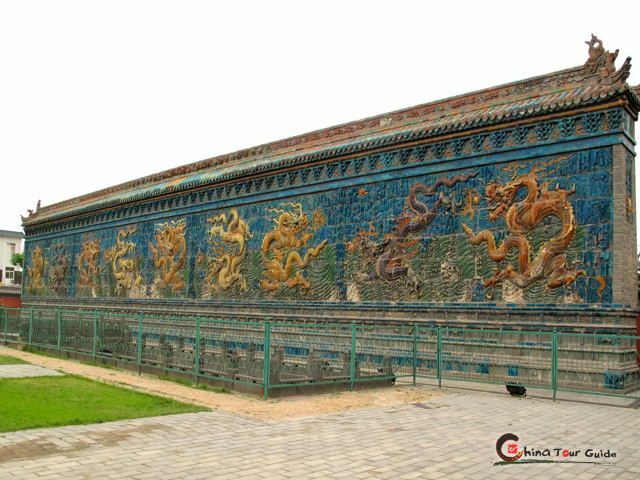 Later drive back to the downtown Datong to have your lunch, then you will visit the Nine-Dragon Screen. The vivid dragons would get you closer to the concept that Chinese guys take the dragon as the symbol of the highest power and grandeur. The most attractive comes at last. Yungang Caves will feast your eyes with 252 grottoes and over 51,000 Buddhist statues. 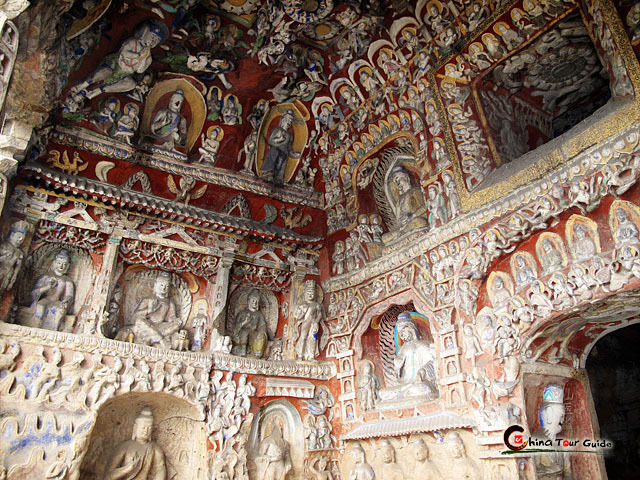 During the 2 hours, just enjoy yourself in the sea of Buddha sculptures and grottoes. Today's Activities After breakfast, you will go to Pingyao by train. In the afternoon, our local guide will pick you up at the train station and transfer you to hotel. Free time for the rest of the day, and you can have a good rest at hotel or hang out on your own. Overnight at local hotel in Pingyao. Today's Activities After breakfast, you have 3 hours to explore the world heritage - Pingyao Ancient City. 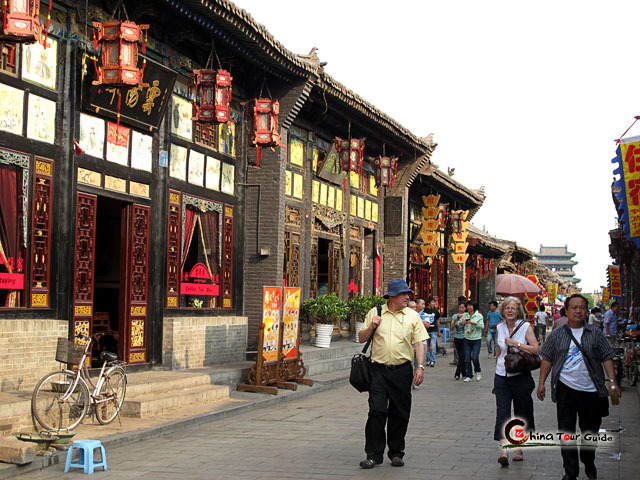 Pingyao is a perfect place for you to understand the life of Ancient Chinese. Its Ancient City Wall still holds its position, protecting people and buildings inside from metropolis lure. 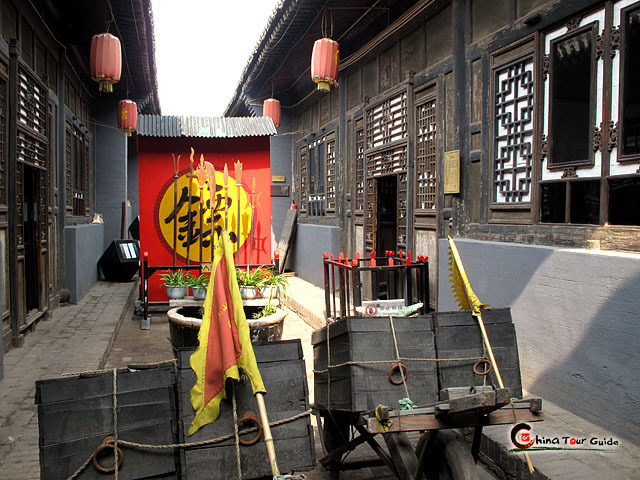 The feudal Ancient Government Office of Pingyao deserves your visiting, which stands in sharp contrast with the representative modern bank company of China, Rishengchang Exchange Shop. You'll also find the prosperous Mingqing Street. It was once reputed as the "Wall Street of China", gathering headquarters of over 20 exchange companies. Today it is home to the biggest antique market in the province. 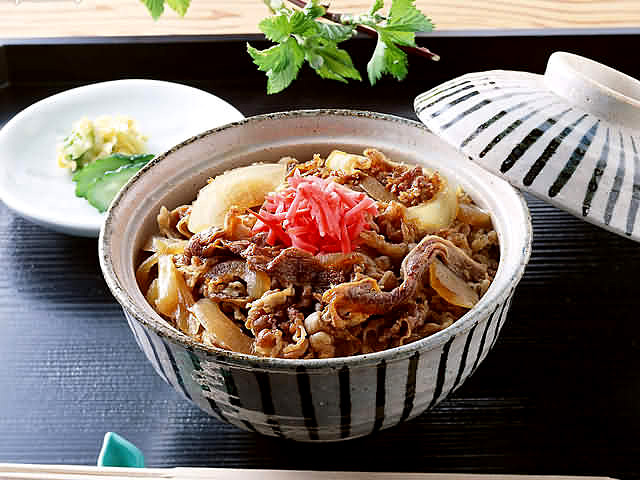 Besides souvenirs, you can enjoy sampling some of the local snacks offered there including noodles, specially seasoned beef, as well as tasty Wantuo. Moreover, the preserved Ancient Security Guard Company (Biaoju in Chinese) building serves as a museum now to offer an eye-opening insight into the significant role played by armed escorts in promoting commerce. 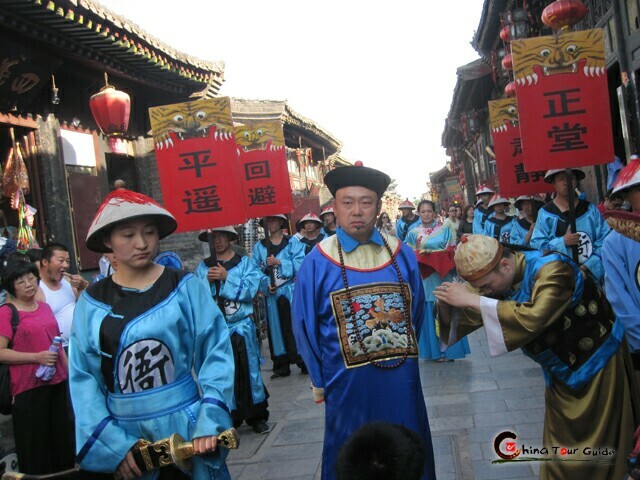 Then free time for you to walk around Pingyao, and overnight at local hotel in Pingyao. Today's Activities Drive about 3 hours to Yu County in the morning, which is 208 km away from Pingyao. Experience the harmonious between human and the nature at the peace and ancient Da Chang Village. It is called "the Potala Palace in Shanxi". 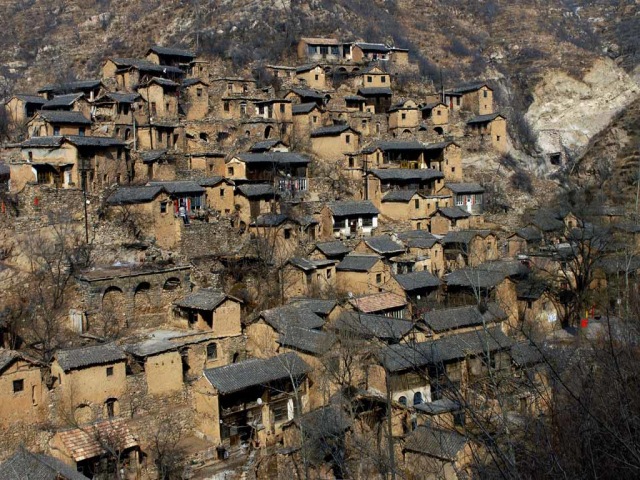 This village features 1500 years history and is the oldest one in Shanxi province. 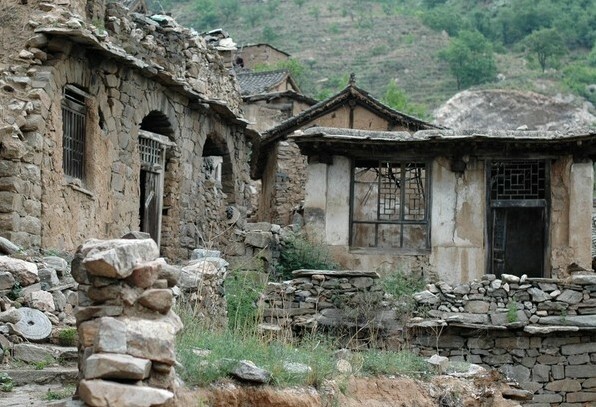 The houses are made of local yellow clay and stone, where warm to live in winter and cool in summer. Then move to the Cang Mountain . Among the numerous Chinese traditional opera repertories, there is a famous one "Orphan of Zhao", while there is a mountain – Cang Mountain noted for the moving story of hiding and rescuing an orphan in the Taihang Mountains with peaks rising one after another. After the sightseeing, you'll be transferred to Yangquan North Train Station for your next destination. Wish you a thoroughly happy journey! 1.Da Chang Village is the paradise for photographers. There are 4 wonders in this special village, namely, the stone houses, the stone-paved road, the ancient tree with 1000 years history, and 7 different stone Buddha. 2. Cang Mountain spans an area of around 10 square meters with charming scenery of four seasons. The grand temple in this mountain is a magnificent building group. It was granted by many emperors and the shrine was reputed as the "shrine of the long live imperial court ". It's among the few temples which were attached with such great attention by emperors in China. 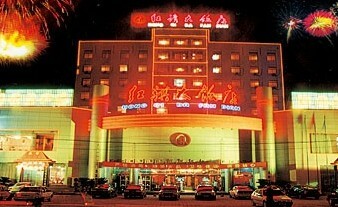 Howard Johnson Jindi Plaza Datong is located at the city center, with easy traffic access. 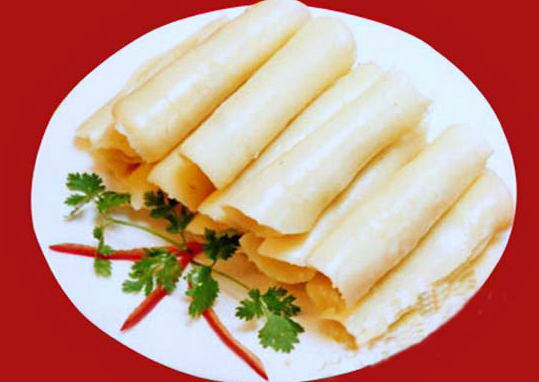 The hotel offers a large variety of dishes. There are 25 dinning halls. Following its high level features, the western restaurant offers creative dishes based on traditional French cuisine, and is decorated in a neo-romanticist style, perfectly matching the food served here. Bars, Japanese and Korean restaurants are available. 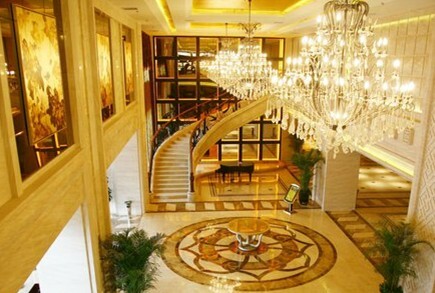 Great Palace Hotel Datong is situated in ust 10-minutes from Datong railway station and only 20-minutes from the direct Beijing-Datong express freeway. The hotel combines an elegant traditional interior design with very modern guest facilities. The hotel provides 98 comfortable guestrooms. All rooms are equiped with facilities such as IDD telephone connections, satellite television and Mini-bar service.Each room is decorated with traditional room amenities and around-the-clock service. 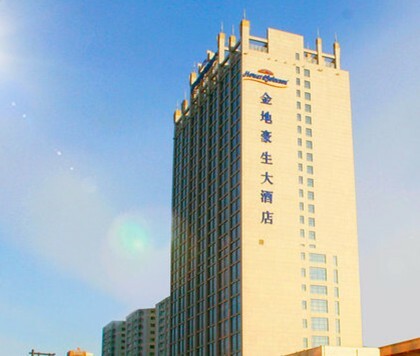 Hong Qi Grand Hotel is with a capacity of 170 rooms provides a whole chain of accommodation, entertainment, dining, and shopping for business people as well as tourists. There are total 138 well equipped and comfortable guest rooms. The hotel has Chinese and western restaurants and is beautifully decorated and equipped with modern facilities that will make your stay as convenient and comfortable as possible. The hotel also provides car rental and ticket reservation services. 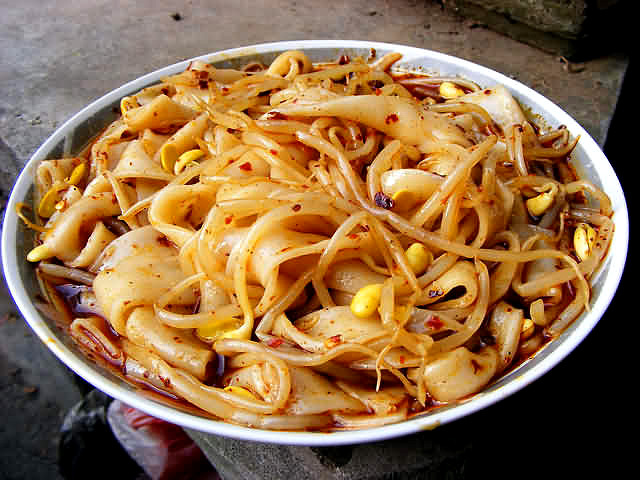 Datong offers over 108 kinds of noodles and pastries. The street food menu includes Shuijianbao, the fried pork-stuffed buns and Doumianjianbao, the pancakes topped with string beans. Besides, trying a bowl of millet gruel might be a good choice after the oily meals in big cities. Good day! I would like to thank you for all your speed helps and services. You look are working with a professional manner. I am dealing with Chinese for a long time and I had a bad experience dealing with them, but recently I met with some Chinese people look like you, are highly professionals, I was surprised, because I didn't find it all over the world. I am proud satisfied dealing with such people. Thank you for a fantastic trip! We returned on Sunday night with a big smile in our faces. Your tour guides were really nice people, particularly Leo. He is definitely an asset to your business. I will write you more detailed feedback later. Thanks! Cheers.